What are you holding on to this very minute? Every year we accumulate more “junk” and hang on to it (almost for dear life). It’s like the brand new dress with the tags still on it from three seasons ago that you keep cluttered in your closet because you swear one day you will wear it (but NEVER do). The common behavior of hoarding doesn’t just apply to material things, but also relates to experiences associated with pain, anger, resentment – even just those little things that make us feel comfortable, but we know deep down are not good for us. A little over a year ago, I released a lot of my own stuff that I’d been harboring for a very long time, and yet, it’s amazing how much more I’ve stored up since then. I, like many of you reading this, have become very attached to my latest set of emotional luggage, but need to let it go in order to move forward and continue to grow. Letting go can be difficult, but the feelings of pure freedom and sheer “weightlessness” that result from this process are like no other. We did this sort of internal cleansing on a larger scale at our National Training with the Pure Romance Consultants in 2012. The video below captured the experience, but does not completely do it justice. Suffice it to say that the energy in the room was nearly palpable. All of the Consultants at this conference wrote down what they had to let go of on pieces of paper. Our staff scoured the room with waste baskets, collecting over 2,000 pieces of paper and then dumped them into two massive “Sesame Street Ernie Trash Cans” on stage. Afterwards, a group of us got into our cars and took every single piece of paper to the Covington Fire Department drill field where firemen were waiting for us. We watched for hours as every crackling piece of paper evaporated into rising smoke. The deep significance made the whole experience very symbolic and surreal, and I’m not exaggerating when I say you could literally hear a pin drop (on grass, no less). While it would be great to have a group of firemen at our beck and call for an annual cleanse, there are other (perhaps safer ways) we can let go throughout the year. One of the board members with the Patty Brisben Foundation for Women’s Sexual Health, Lisa Thal, recently shared some very valuable insights with me on this topic. She talked about how we carry things with us that happened even as early as our childhood, and we often don’t even know that we still carry with us. Lisa recommended writing a letter to that person who may have hurt you and confront them with it. If you choose not to share it with them, or it isn’t even possible, then just the act of putting the thoughts on paper, reading through it and destroying it will help cleanse you of it once and for all. New Year’s Eve is a perfect time for shedding old habits and letting go. I’m usually in Florida this time of year, where I spend time rejuvenating for the New Year. This year the transition is going to be a bit different for me. I will be staying in Cincinnati because my mother is very sick. Although this is an intensely private time for my family and me, I do want to open up a little and share with you some of the things that are happening in my life if it means it will help provide some insight into your own. It also is my way of showing you that I’m still working through the parts of me I need to change or let go of in order to be a better person. It’s been a lot like “Groundhog Day” at the hospital these past few months, but I’ve cherished the time I’ve been able to have with my mother. I understand that there’s nothing that I can do to make my mother better, and more importantly, I know that it’s not about the things that happen to you in life, but rather how you handle them. As the oldest daughter, I’ve had to work to keep from breaking down, stay strong and realize that it’s all about how I manage my reaction. All of this has made me look at things so differently and helped me to evolve on a greater level in the way I think and react to everyday life. I’m still opening up and growing. There are many of you, like me, who will have to let go before you can see real change happen. The key is in knowing what we do have control over and what we need to accept. 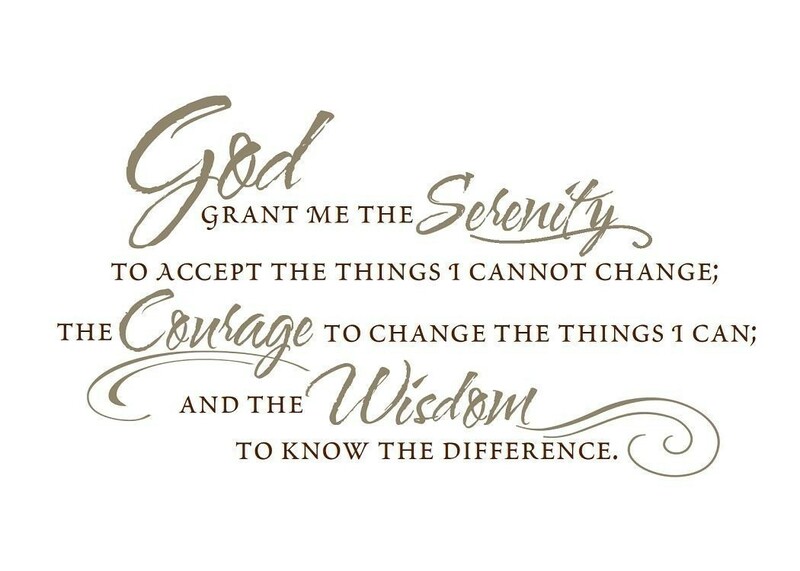 See one of my favorite prayers below! We can’t hold onto the past, but instead look at each day as a new opportunity to be a better person and improve upon our most important relationships. I truly wish you all the love and strength to achieve this in 2014. From the bottom of my heart, a very Happy New Year to you and yours. 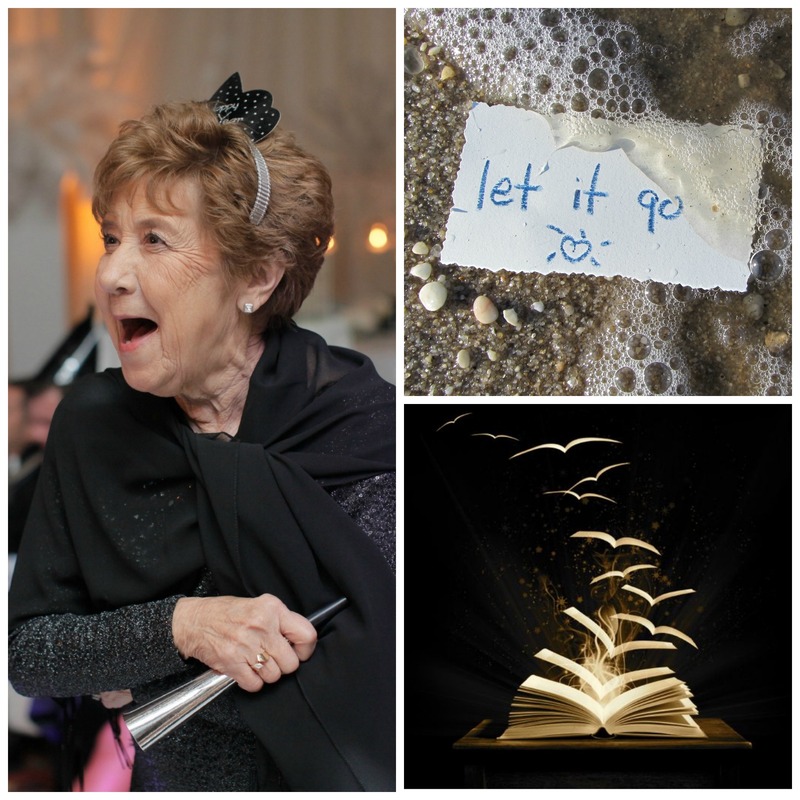 9 Responses to "Letting Go"
I pray for your mom and your strength Patty! What a terrible thing she is going through but leave it to you to find a lesson! Happy New Year to you. Can’t stop crying…..Reminders of the Past and Present…I choose to “Let Go”. You and Your family are in my prayers..
Well said Patty! Thank you for continuing to inspire and love us! My thoughts and prayers are with you and your family Patty. I was just thinking of this speech yesterday and how much it meant to all of us that were there. Thank you so much for sharing “you” with us Patty. We are all thinking of your Mom and your entire family and hoping for the best. Your mother is a lucky woman to have such a caring daughter by her side.